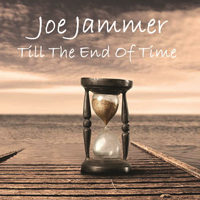 JOE JAMMER, who was given his name by JIMMY PAGE when he was guitar roadie for LED ZEPPELIN in 1969, has now recorded his third solo album which has taken nearly 20 years to accomplish. Joe said “The original recordings were done in Chicago back in 2001 and as there is so much high powered energy that can be felt throughout it took work on two continents with re mixing and mastering the tracks at MSL Studios London, as well as vocal overdubs at my own Hooch Studios, Morden to finally complete the album”. “The concept of this album was presented to me by my friend Marty Trlak who is a singer/songwriter in his own folk/rock style which I rewrote and arranged the songs to fit my own imitable style”. Classic rock blues from a guitar master.